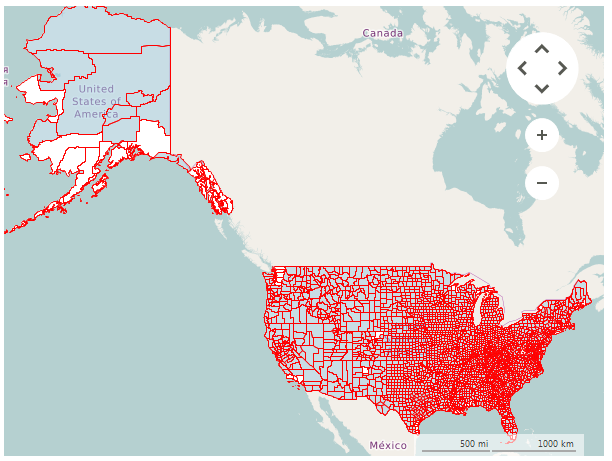 RadMap provides support for stunning map overlays through its KML-import feature. Once you have the desired set of features (place marks, images, polygons, textual descriptions, etc.) encoded in KML, you can easily import the data and visualize it through the RadMap control. In this way you can easily visualize complex shapes like country's borders on the map and fill the separate shapes with different colors in order to achieve a sort of grouping. To read your data you have to use a KmlReader. UseLocalImages: A boolean property which enables the local image loading. LocalImagesFolder: The folder that contains all images.